PRICE LOWERED. Owner has deeded boat slip with lift available for $42,500. Spacious, open living area has banks of tall windows and French doors overlooking the Sound and mature oak and magnolia trees. It features a fireplace, 9' ceilings and recessed lighting. Granite counter-tops, white cabinets and stainless Whirlpool appliances are featured in the kitchen. Each of the 3 bedrooms and baths are in different areas of the condo for privacy. Master bath has double vanity, separate shower and Jacuzzi. Condo is in excellent condition. 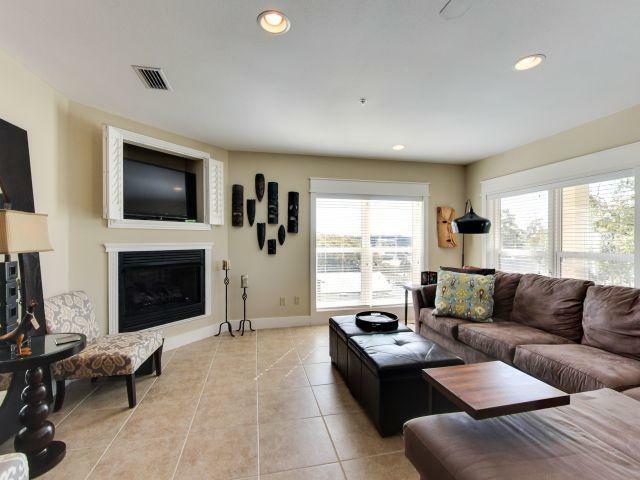 Deeded, private garage conveys with the unit as well as a climate controlled storage room. Living area opens onto a large balcony with views of the Sound to the east and south. Large pool overlooks the Sound. Listing courtesy of Linda Watson Realty Inc.